Velocitation is a tendency to gradually accelerate without noticing or perceiving your driving speed as slower than the actual. 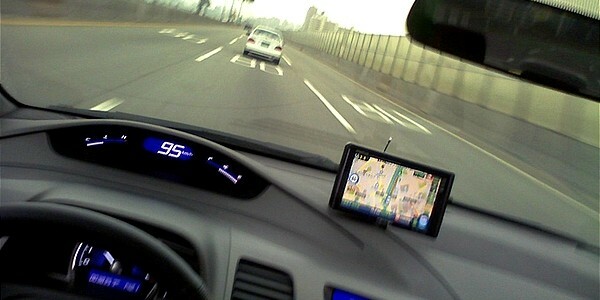 Velocitation usually occurs after driving for a long time at a high speed, such as on a highway. If after exiting to a road with lower permitted speed you feel as though you are “crawling” – you are experiencing velocitation. Velocitation is dangerous and you need to be aware of this phenomenon to prevent it from happening while you are driving. You can prevent velocitation by staying alert while driving and practicing safe driving. Drive only when you are mentally alert and well rested. If you find yourself driving too fast unconsciously, the best remedy is to pull over for several minutes to let your eyes rest and readjust your senses. Roll down the windows to get some fresh air. If you are going on a long trip, it’s a good idea to plan frequent stops in advance. Velocitation is caused by your eyes getting used to the fast change of images and your brain getting accustomed to moving at a high pace. The ability to judge your velocity correctly becomes temporarily impaired. This can occur to both, the driver and the passengers. Another common psychological occurrence in freeway driving is highway hypnosis. Highway hypnosis is when your mind becomes oblivious to surroundings, i.e. driving without being aware of it. You are especially vulnerable to it when you are bored, drowsy or are lost in your thoughts instead of being alert and aware of your driving. To prevent highway hypnosis, avoid going on “auto-pilot”, avoid watching the lane lines while driving, be fresh and awake, roll down the windows, turn on the radio, pull over and get some rest. The term velocitation can be traced to the word velocity. Velocity is a vector quantity that specifies the speed of something moving and the direction it’s moving in. Speed, a scalar quantity, is the rate at which something is moving, regardless of the direction. In general use velocitation can refer to speed, and many people use velocity and speed interchangeably. However, to physicists the two have different meanings: speed with a direction, and speed without a direction.